Question: My band is a cover band. Will you review our demo? Answer: Though your band may be the best cover band in the Midwest, we don’t review cover band demos. Space limitations don’t allow us to review cover bands. Question: How do I get my live music dates listed in your calendar section? 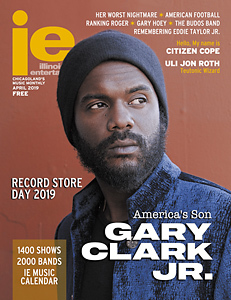 Answer: Send your live music listings to service@illinoisentertainer.com by the 15th of the month preceding publication (ie: July 15th for August issue), and if space allows IE will list it at no charge in our online and print live music calendar. Question: Can I copy ads out of Illinois Entertainer? Answer: The quick answer is no. Ads appearing in IE are copyrighted by the publication and in many cases, by the graphic artist that produced it. When in doubt, please email us to make arrangements to have an ad reproduced as a flyer, postcard or to be reproduced online.